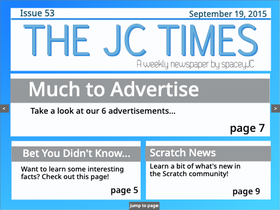 • This is the The JC Times newspaper! New issues every Saturday with awesome content. -Find issues before the move in this account's favorite projects.